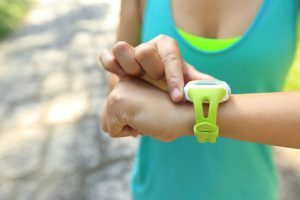 It doesn’t matter whether you’re running for sport or for health, a sports watch will definitely help improve your performance. It acts like a personal training partner that tracks your distance, location, heart rate, and other things. There are many running watches available on the market. Brands like FitBit, Garmin, Suunto, Nike, and Polar are just some of the popular brands you can find out there. This article will help you choose the right one and introduce a few items you might like. Some running watches come equipped with a GPS function, while some don’t. If you want a running watch that does come with GPS, you can expect it to cost more. However, there are benefits that do come with the device, which compensate for the hefty price tag. Keep in mind that many smartphones, car navigation systems, and other devices do come with a GPS function. The feature works by acquiring radio waves from artificial satellites, which in turn, gives you a good grasp of your location. You can also check your distance, pace, time, and route. The GPS feature can also record running routines. It can also tell you your weak and strong points during your runs. 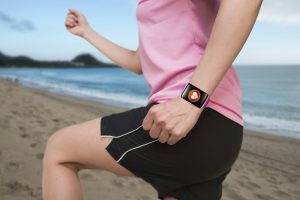 Many modern GPS running watches can now easily send data to your computer with the help of either a Bluetooth or USB connection. Therefore, you can record and manage all the data coming from wearing the device. 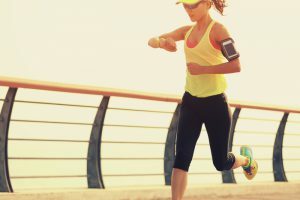 People who plan on participating in marathons or other similar events can improve their performance. When you’re selecting a GPS running watch from the market, what factors should you keep in mind? We’re going to introduce to you six points to ponder in this segment to help you choose the right running watch with GPS. Smartwatches are rechargeable, but their battery can only last for a few hours to a few days at most. Some long distance runners are sometimes faced with a problem because of the short battery life. Turning the GPS will also eat up the battery faster than you think. People who only run short distances may not have too much to worry about. However, individuals who like to run full marathons might want to consider a GPS running watch with a long battery life. You should also consider getting a GPS running watch that is waterproof. In case the weather takes a turn for the worst, you can rest assured that your watch will stay alive. Even when you’re running outside during a sunny day, sweat might interfere with an ordinary smartwatch’s performance. Some GPS running watches have a higher waterproof rating than others. Hence, you can take these variants while you’re swimming or when you’re participating in a triathlon. The traditional analog wristwatch doesn’t come with a digital display, which means you can easily tell the time even if you’re looking at the device during a bright, sunny day. Smartwatch users, on the other hand, may have a difficult time looking at a digital screen under a bright light. Make sure you choose a GPS running watch with a bright screen to make sure it’s still visible under the sun. Furthermore, it might be in your best interest to get a watch that has large text and an easy-to-understand operation. Most (if not all) modern GPS running watches come with accompanying mobile applications. You can use the information gathered by the application to post your progress on social media. You can also use the data to check your daily progress. 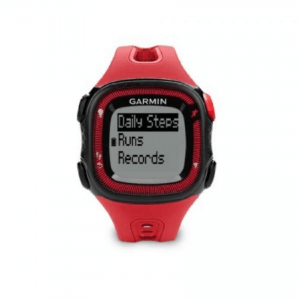 There are also some running watches that are compatible with several apps. Some devices are even compatible with third-party mobile applications. GPS running watches now come with different features, which Let’s take a look at some of the functions necessary for your runs. A heart-rate monitor allows you to monitor your heart rate while you run. You also can adjust the pace and speed of your workout routine to effectively adjust your training methods. 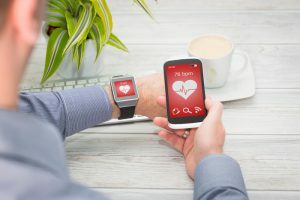 Some GPS running watches with heart-rate monitors come with peripherals that attach to the chest of the user to effectively measure heart rates. There are models that do not require additional accessories to measure the heart rate. Running watches that come with both GPS and a heart-rate monitor might have a higher price tag than others. However, such a device will present itself with excellent value for money for its users. Many GPS running watches now come with touchscreen displays. As a result, you can operate its different features with a simple touch of the screen. 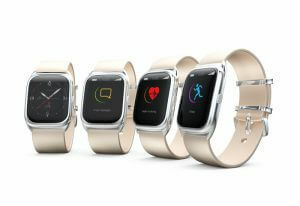 You can operate the smartwatch just like a smartphone, albeit with a smaller screen. At the end of the day, the final decision still relies heavily on personal preference. 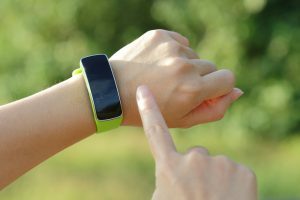 If you do choose a touchscreen display over a button-style smartwatch, then you can take advantage of ease-of-use. However, there are some running watches that may come with displays that are too sensitive for their own good. A whiff of your finger might trigger the watch to operate. On the contrary, button-type running watches will have a tactile feel that most variants with touchscreen interfaces don’t have. Still, the design might interfere with comfort because of a protruding dial or button. Always consider the pros and cons of your choice before deciding on what to purchase. Some GPS running watches come with a feature known as G-Sensor. This functionality allows you to measure mileage and other information even if the GPS functionality might not work at the moment. It’s a great feature for when you’re running indoors, for example, when you’re at the gym. As a rule of thumb, the lighter the weight of the running watch, the better. The reason behind this analogy is quite obvious; it’s because heavy watches tend to hinder you from having an excellent workout. In this segment, we’re going to introduce to you our top 10 recommendations for the best GPS running watches available on the market. 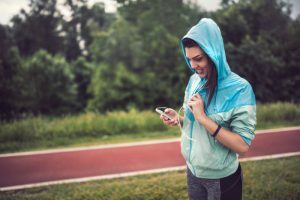 You can use the information we posted to help you in looking for the perfect partner for your running routines. 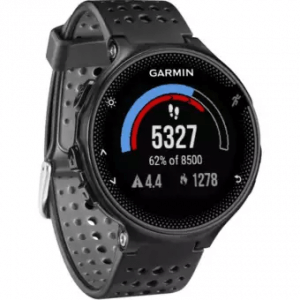 Take one look at the Forerunner 235 by Garmin and you’ll be swept by the broad range of features it has to offer. This running watch can track heart-rate, pace, time, and distance just to name a few. 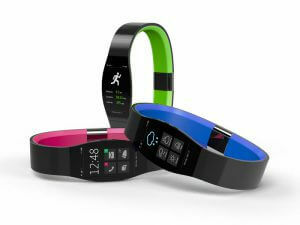 It also has an activity tracker to help you measure and monitor distance, calories, and even sleep. This GPS running watch does have a long list of features, but it also carries a hefty price tag. 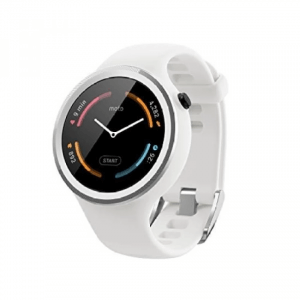 Interested individuals looking for a budget-friendly smartwatch to become their running companion might want to look somewhere else. 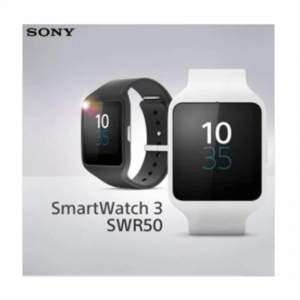 While most running watches sport a plastic or silicone wristband, the SmartWatch 3 by Sony offers a different take regarding design. This GPS running watch has different strap options, and there’s even a metal strap for when you want to use the smartwatch during casual occasions. Sony’s contender for the running watch market even comes with a 2-day battery life. However, it does come with one of the most expensive price tags you can see in today’s market. If the accuracy is your main factor for choosing a GPS running watch, then perhaps you should consider getting the Forerunner 630. Aside from its accurate readings, it also boasts a touchscreen high-resolution color display. Its controls and features are all easy to access as well. While it does have its pros, the Forerunner 630 doesn’t come with a very good backlight. Hence, you might acquire some trouble reading what’s on the display while you’re running under direct sunlight. 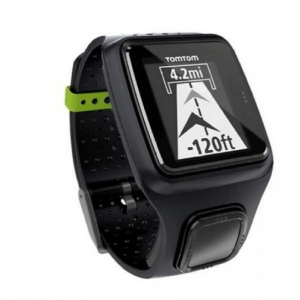 The TomTom Runner GPS running watch is ideal for runners that don’t want to deal with multiple convoluted controls just to use a specific feature. It has a one-button setup that’s very useful for accessibility. It even comes with the QUICKGPSFix Technology to allow users to gain accurate readings regarding distance and location. This GPS running watch also comes into the market with a reasonable price tag. However, its replacement parts are known to be more expensive than most. 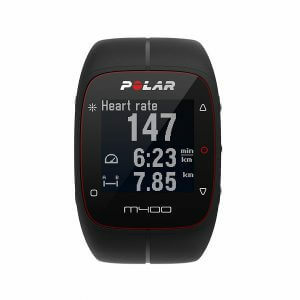 The M400 from Polar comes into the market with a daily fitness tracker and a waterproof construction. The brand even promises its users that this GPS running watch can help you plan for an optimal training session. It can even assist users in finding your way back home if you’re on a new route. Its features do work well, but many complain about the difficulties of pairing the watch with a smartphone. It’s an ideal choice for the casual runner, but maybe not for the serious marathon or triathlon participant. 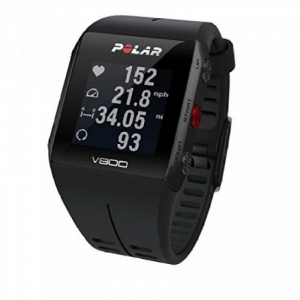 The V800 by Polar isn’t just for running, but it’s also an ideal choice if you want a tracker during triathlons. This device is an advanced multi-sports GPS watch that can keep track of a range of sporting activities and training regimens. This GPS sports watch even comes with just a few buttons to allow you to access your favorite features at the drop of a hat. Its design is even skinnier than most. As such, you’ll find it to be a comfortable experience throughout your workouts. Many GPS running watches make users go through the trouble of reading what’s on the screen under direct sunlight. Such a scenario won’t become a problem for the Vivoactive by Garmin. This GPS running watch sports an ultra-thin architecture with a very bright display. Another great feature found on this device is it transitions well from fitness to casual occasions because of its design. You don’t even have to change straps when you go to a business meeting right after your running routine. 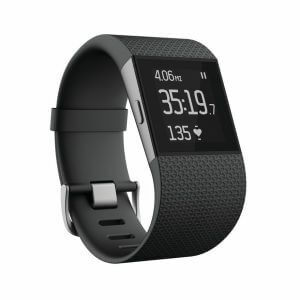 The Surge is a midrange offering by Fitbit that allows you to take advantage of a good number of useful features. 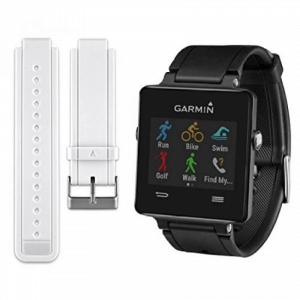 It comes with GPS tracking, heart-rate monitoring, and activity tracking features. Its GPS tracking functionality even allows you to monitor your pace and elevation. It even comes with a reasonably straightforward design. This GPS running watch looks like an ordinary digital wristwatch from afar. Therefore, it’s perfect for people who don’t want to let the watch scream to the world that they’re on a fitness routine. If you’re looking for a GPS running watch that gives you the right details whenever you want them, then you might choose the Forerunner 15 by Garmin. This smartwatch comes with a rechargeable battery that offers 8-hours of battery life, even when you’re using the GPS functionality. 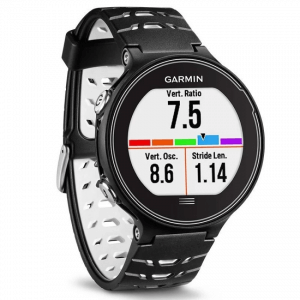 This GPS running watch also monitors your other activities between runs. 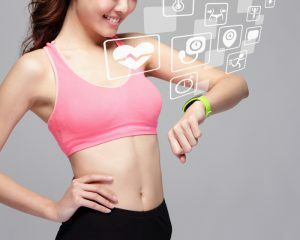 It can even keep track of the calories you burn throughout the entire day. The number 1 spot on our list is taken by the 360 Sport by Motorola. This GPS running watch allows you to choose from a good number of differently-colored straps. Everything from the straps to the watch face itself screams fashionable and functional. This smartwatch even comes with an ambient light sensor. This feature allows users to see what’s on the display even when they’re running under direct sunlight. The watch even comes with Wi-Fi connectivity, thereby making it one of the most accessible and easy-to-operate running watches on the market. We’ve just taught you about the important points on how to choose a GPS running watch and introduced a list of devices that might tickle your fancy. Make good of the running watch you choose, as it’ll become your most reliable partner during your workout sessions.